Well, they have to actually exist somewhere if a map uses them. so what is the answer? what i should to use if i want to play sardinia map with promods and southern region??? You are giving a non-answer. What you should be saying is "Yes, they should be activated" or "No, they don't have to be activated"
I misunderstood your question. Apologies. If also using another map mod which already includes the necessary prefabs, the prefab package provided in the first post of this topic is of course not needed. I am personally not 100% which mods actually do contain them, unfortunately, but I think ProMods does. Thus, if playing Sardinia Map together with ProMods, you have to use the legacy compatibility fix, but you shouldn't have to activate the prefab pack provided here. Ok, thanks. I think that helps. Thank you, Davyddin, now it's clear. Thus, if playing Sardinia Map together with ProMods, you have to use the legacy compatibility fix, but you shouldn't have to activate the prefab pack provided here. I am not shure, but does ProMods use all of FLD's prefabs? 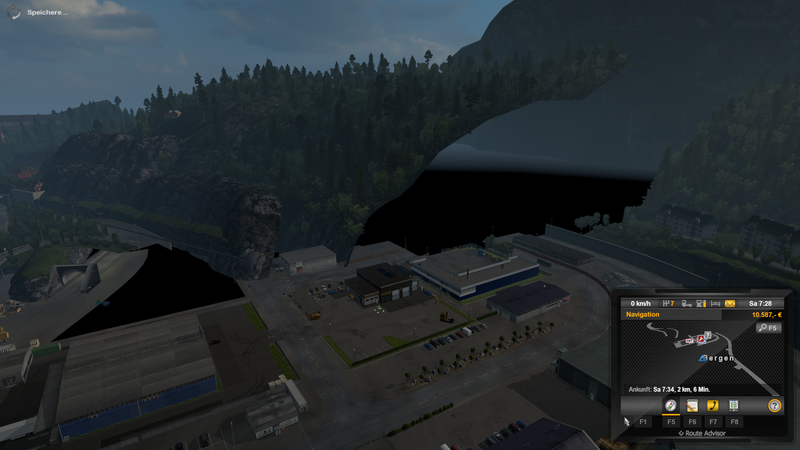 I haven't tried it, but the compatibility with ProMods and e. g. RusMap could be fixed with activating the prefabs. Thus, I guess that you can play the map with other maps and PM and without Daviddyn's fix, if you put the prefabs file at the top. Later, I'll try it again. Sardinia map works with other map combinations without ProMods Legacy Compatibility Fix. Thus, you do not need this fix if you at least load Sardinia prefabs file above ProMods. Another thing: I discovered a fatal issue of the map: I confused the map sectors, so the map includes now the sector of south-east Bergen (sec-0003-0014). RusMap is just an example here for any other map you are using. Of course, you don't need the vegetation fix if you don't use RusMap. The only disadvantage of the load order is that the game won’t display the Sardinian loading screens. Last edited by Topolino on 16 Oct 2018 05:40, edited 1 time in total. Sardinia map works with other map combinations without ProMods Legacy Compatibility Fix. Thus, you do not need this fix if you at least load Sardinia prefabs file. Please be aware that this is true only if loading Sardinia Map on top. The download link to the ferry file on the first post is broken.